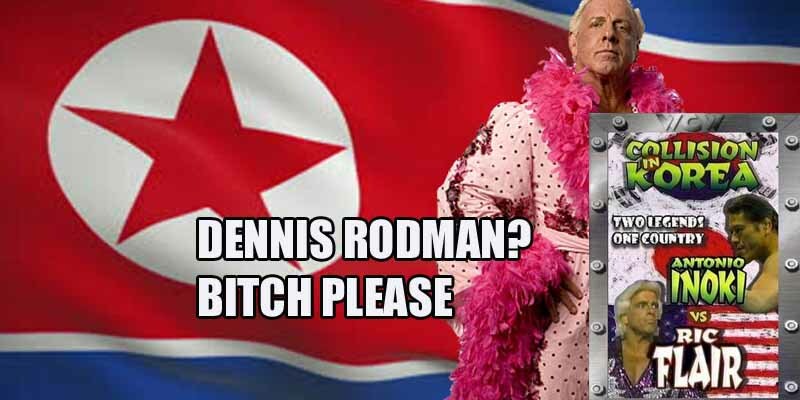 Like Dennis Rodman, The Nature Boy has some history with North Korea, where him and Antonio Inoki headlined Collision in Korea at the May Day Stadium in Pyongyang in 1995. Held jointly by WCW and NJPW, the event took place over two days and still holds the record for the most attended wrestling show in history, with 165,000 people showing up on the first day and 190,000 the next. To put that into perspective, Wrestlemania 32 holds the record for the most attended Wrestlemania with only 101,000. Still, most attendees likely didn’t have a choice.